Check out the latest from YoYofficer player Ryan Gee! Woo hoo! Yoyo used is the YoYofficer Hatchet+. Check out the latest from YoYofficer player Ryan Gee! Woo hoo! Yoyo used is the YoYofficer Hatchet+. Ryan Gee serves up a tutorial for his 5A trick “Astro Swing”, and it’s exactly the kind of ridiculous, fun trick everyone should have in their pocket to make non-players oooh and ahhh. That, and throwing really high aerials. If you can do that consistently, they’ll think you’re a wizard. Yoyo used is the Yoyofficer Kilter 3. Ryan Gee throws down his signature blend of weird and lovely 5A tricks in his latest video for YoYofficer. Yoyo used is the Yoyofficer Yacare. Ryan Gee throws down his signature blend of weird and lovely 5A tricks in his latest video for YoYofficer. Yoyo used is the Yoyofficer Yacare. 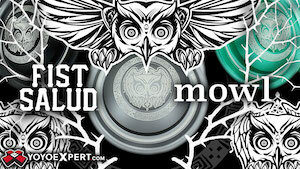 YoYofficer’s latest yoyo release gets some love from team member Ryan Gee. Yoyo used is the YoYofficer Urban. 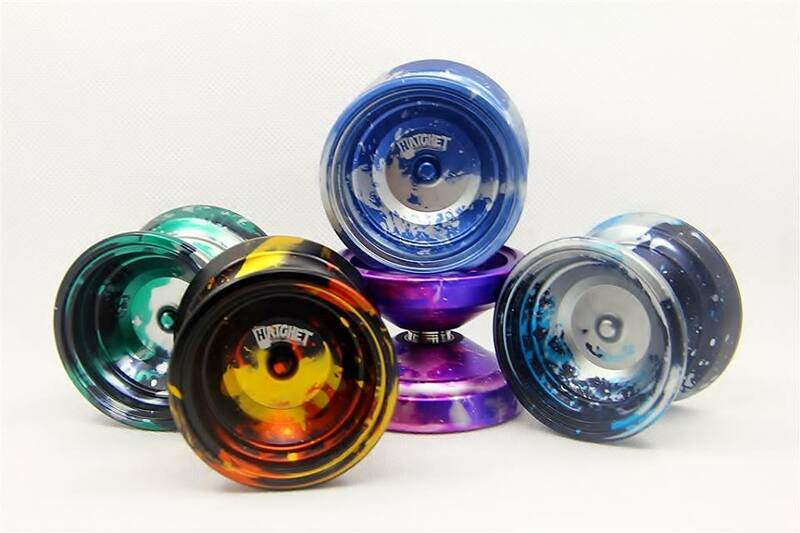 Yoyofficer is releasing another mid-range yoyo, the Quash! 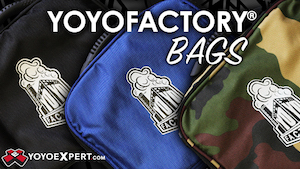 We’ve got photos and specs for you, as well as a teaser video from YoYofficer team member Ryan Gee. Check out their official press release and specs below! With our mid-range models Imp and Lava, we wanted to offer mid-sized and light yo-yos, that would be a great fit for many competitive players. Our latest model Quash is designed with the same idea, but offers even higher level of play. This time, we opted for simple V-shape and larger 45 mm width to provide really generous catch zone. The weight was reduced to 63.7 g to ensure even faster and more agile play. It resulted into light and really fun to play yo-yo, that still can rule on stage. Comes in 6 different acid washes, all with beadblasted finish and equipped with our grooved 10-ball bearing. Ryan Gee filmed some of his newer tricks on a day trip to San Diego, and then he did us all the kindness of releasing them into the wild for us to enjoy. Yoyo used is the YoYofficer Nifty. YoYofficer has announced the Hatchet 2, and Ryan Gee is giving up some great 1A and 5A tricks to promote it. Check out details on the Hatchet 2 below, and pick one up on April 2nd when they drop worldwide. Yoyofficer Hatchet 2 is our new top competition model, full-size with really powerful spin and universal for wide range of styles of play. Hatchet 2 weighs in at 66 g and is slightly lighter than original, yet it feels more solid, is easier to control and offers even more stability and longer spin time. Available worldwide on 2nd April in 5 color combinations for $59 USD. 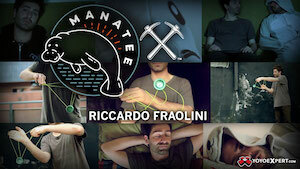 Yoyofficer released a new tutorial with Ryan Gee for his trick “Tic Tacs”. Good stuff! YoYofficer drops another stellar video featuring US team member Ryan Gee, featuring plenty of unique, fun tricks. Enjoy! Ryan Gee gives us another blast of weird, great tricks in his latest video. Enjoy! Yoyo used is the Orbis by YoYofficer. Ryan Gee dropped another tutorial for YoYofficer, this one for his trick Ersatz Triangle Kick. Yoyo used is the Musket by YoYofficer. Ryan Gee, the first American on YoYofficer’s sponsored player team, dropped a new video filled with weird tricks in his trademark style. Yoyo used is the Lava by YoYofficer. Ryan Gee dropped another minute+ of tricks, so get ready for more weirdness and that weird face he makes where he kinda purses his lips like he just took a hit of lemon juice. Yoyo used is the YoYofficer Lava. Ryan Gee dropped another tutorial for YoYofficer, this one for his trick “Triple Red Triangle”.